The words “hemp oil” and “cannabis oil” are often conflated or confused as being the same substance. This is not true, since we know there’s a difference in specificity with cannabis and hemp. Cannabis Sativa can pertain to a wide array of varying strains, including hemp. This difference is important when discussing the many innovative uses for hemp oil. In spite of their distinct variances as plants, cannabis and hemp are the same species; however, they have different characteristics, constitutions, and uses. Our article Hemp Oil Vs. Cannabis Oil explores this in greater depth, but, to summarize, the largest difference is in legal status. Hemp is legally grown in over 30 countries while cannabis, or marijuana (having higher THC), remains illegal in most countries. Hemp has higher concentrations of CBD than of the other famous cannabinoid, THC, of which hemp’s concentrations are very sparse and low. 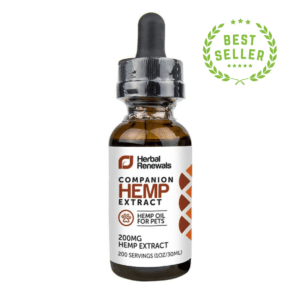 Uses for hemp oil usually revolve around the soothing aspects of CBD. On the other hand, cannabis oil, depending on the strain that it is produced from, most commonly has higher THC concentrations. Many people might use this for a “high.” However, some derive certain benefits from THC as well. We want to make sure that we don’t falsely villainize THC. But the laws prohibiting cannabis mostly have their focus on THC and trying to limit its availability out of concern over its psychotropic effects. Hemp oil can come from a few different processes. 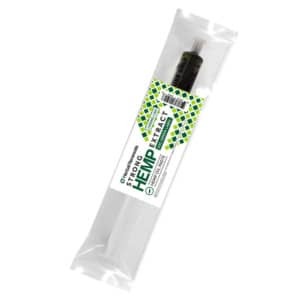 Our products here at Healthy Hemp Oil are specifically derived from industrial hemp. 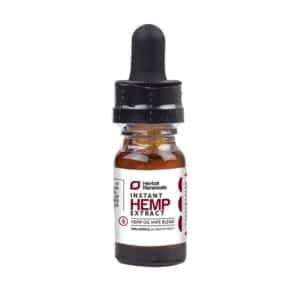 But hemp oil can also be pressed from hemp seed, producing “hemp seed oil.” These oils often have high concentrations of CBD as well as other constituents we are going to talk about. To really understand the uses for hemp oil, you must first know what is in hemp oil that makes it so beneficial. This isn’t a full list of all chemical constituents, but it is a focus on the most useful compounds contained in hemp oil. This is the primary focus of our products at Healthy Hemp Oil. From industrial hemp, we bring you the enriching properties of CBD. CBD is known to act on signaling pathways in the body. Specifically, as one of many examples, it acts on the the 5-HT1a receptor, enhancing its activity. This receptor is a subtype of the 5-HT receptor that binds the endogenous neurotransmitter serotonin. Serotonin is something we are all a bit more familiar with these days with the epidemic levels of depression and sleep problems. Serotonin plays contributing roles in mood and sleep. CBD also inhibits the degradation of anandamide; anandamide is a recently discovered neurotransmitter that plays a role in pain, depression, appetite, memory, and fertility. To learn about more pathways and receptors that CBD acts on, please see our article about CB receptors. We have also discussed terpenes and terpenoids on our blog. According to “The Composition of Hemp Seed Oil and Its Potential as an Important Source of Nutrition,” the most abundant terpenes found in hemp seed oil are caryophyllene and Myrcene. In one specific bioassay, they were found in hemp seed oil at concentrations of 740 mg/L (caryophyllene) and 160 mg/L (myrcene). In one study published in the Journal of Ethnopharmacology, Myrcene was found to be the root of lemongrass’s analgesic effects. Meanwhile, B-Caryophyllene, a sesquiterpene, can act as an anti-inflammatory agent via the PGE-1 pathway and is also a selective full-on agonist at CB2. Taken from a notice found in FDA archives about exempting hemp seed oil, hemp seeds contain 20 – 25% high-quality protein. The FDA also explains that the ratio of omega-6 to omega-3 is of utmost importance and that the omegas in hemp seed oil are found in that ideal 3:1 one ratio. The benefits of omega 3s are well-documented. WebMD provides an omega-3 fatty acids fact sheet, explaining that omega 3 supplements can be beneficial in lowering triglyceride levels, curbing stiffness and joint pain, and increasing the effectiveness of anti-inflammatory drugs, among many other benefits. 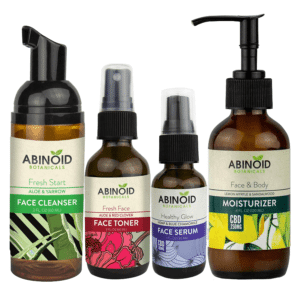 Uses for hemp oil are expanding into the beauty and skincare world as well. Thanks to the fatty acid content, hemp oil can make for a great aid in moisturizing. According to an abstract in the Journal of Cosmetology Science, it also contains Vitamin E, which is a big player in the skincare world, known as an antioxidant that produces anti-aging benefits. There can also be some lovely aromatic terpenes present in a hemp oil-based soap. We absorb things through our skin. Our skin can be like a second mouth with some substances able to get past layers of skin and eventually into the bloodstream. Of course, this is more indirect and diluted. If someone were wanting to experience hemp oil wellness benefits on a more low-key scale, this would help. These lotions are also full of ingredients that are good for the skin The same abstract from above also showed it to be relatively stable in gel-emulsions for spraying on the skin. Some people like to use hemp oil in cooking for its nutty flavor and aroma. However, just be careful not to heat it beyond 121 degrees F. After this point, it can produce harmful peroxides. It might fare better if used in a salad dressing and not heated. 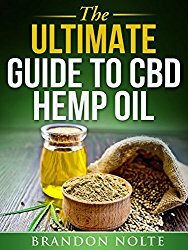 We hope you have found this article helpful for fleshing out your knowledge about the uses for hemp oil, which are manifold. It is most commonly simply ingested for wellness benefits, but hemp oil and hemp itself go far beyond that into the realms of beauty and cooking. 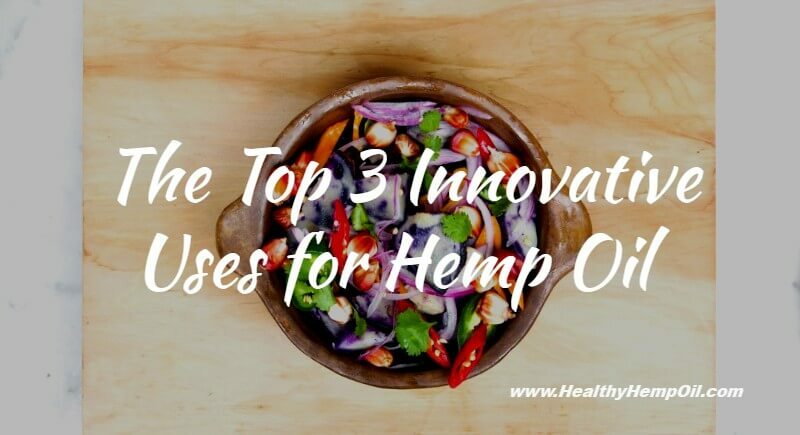 What uses for hemp oil have you discovered? Let us know in the comments below. This entry was posted in CBD News, Resources. Bookmark the permalink.